For the first Market Monday in May, let’s take a big-picture look at the Tampa housing market by reviewing home sales in Hillsborough County from April 2018. In April of 2018, 40 fewer single-family homes sold compared to April 2017. 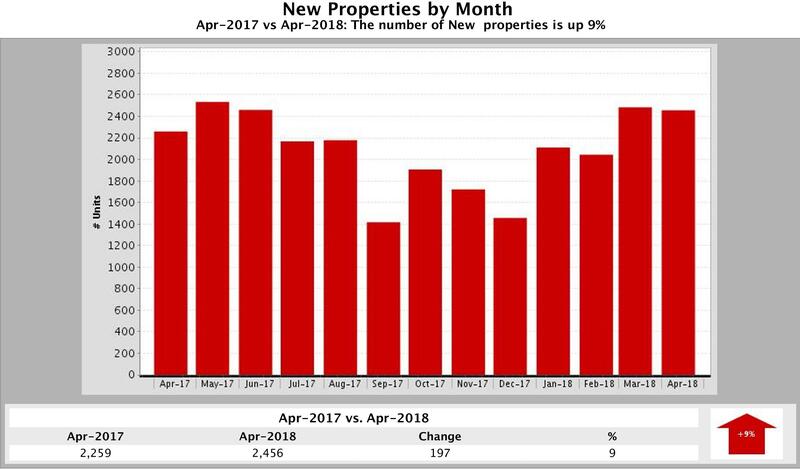 In 2018, 1,615 homes changed hands compared to 1,655 April 2017. So sales declined 4% from a year ago but rose 2% from March 2018 when 1,581 homes sold. The number of homes for sale plunged 21% from 8,572 in April of 2017 to 6,805 this April. 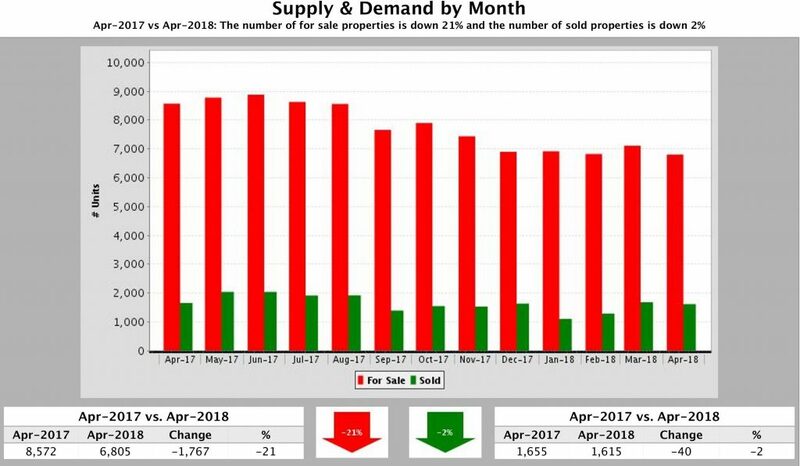 That’s 1,762 fewer homes on the market than April a year and 138 more than in March 2018. Also, 2,456 new properties came onto the market in April of this year, 197 more than April 2017 when 2,259 new properties were listed for sale. 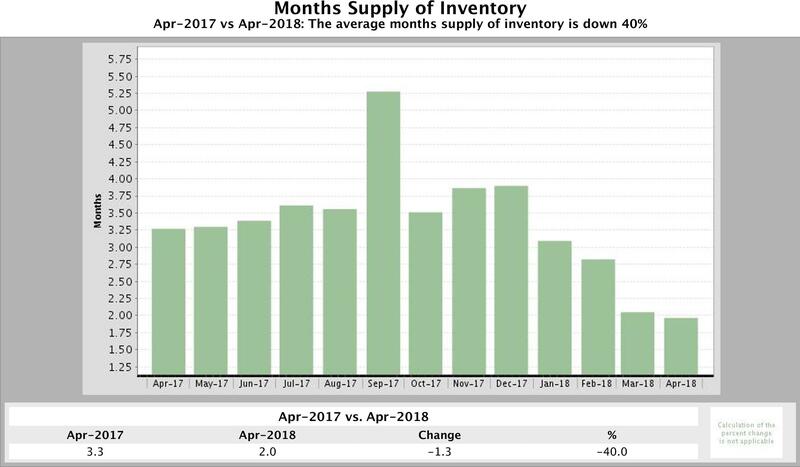 Housing Inventory, measured by Months Supply of Inventory, fell a whopping 40% compared to April 2017. 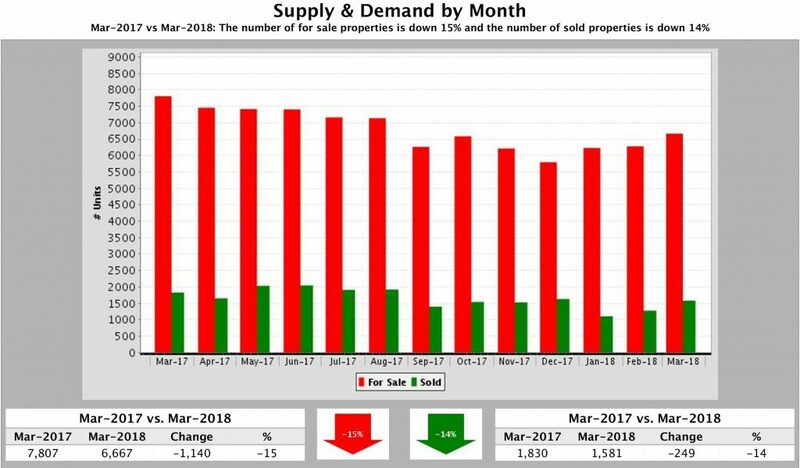 Last April, the Hillsborough market had 3.3 months of supply, but this March the inventory had decreased to 2.0 months. But this was still up from March of 2018 when there were only 1.7 Months of Supply. 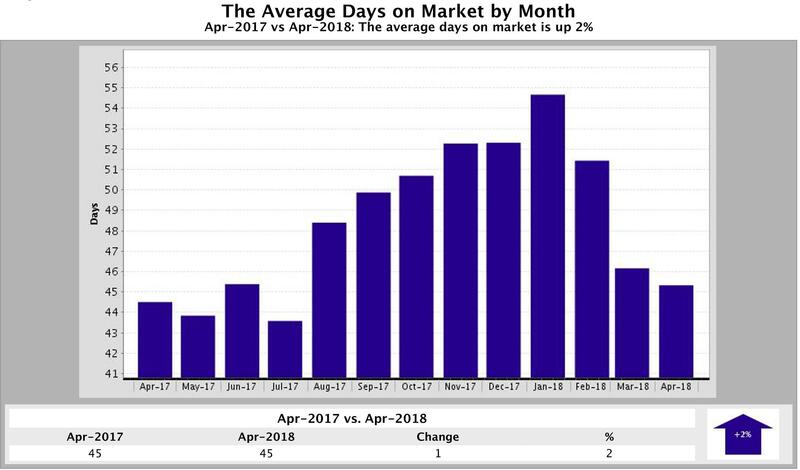 The Average Days a Home Stayed on the Market stood where it was a year ago at 45 days. Median Sold Price, which is the price half the homes sold for, rose 9% or $21,500 from $227,500 in April 2017 to $249,00 from April a year ago. 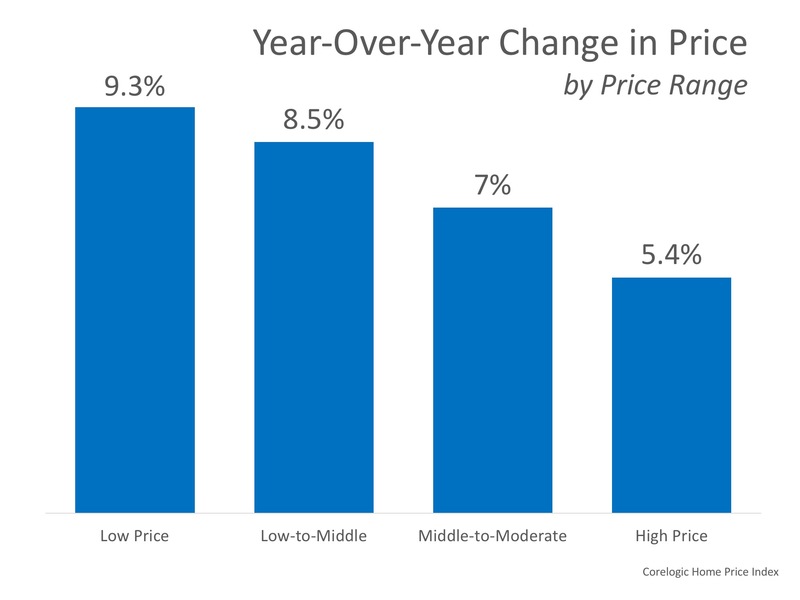 The Median For Sale Price of homes jumped 10% or $26,000 from $262,900 to$288,900. Homes continue to sell at a pace close to a year ago even though the number of homes for sale is down significantly. 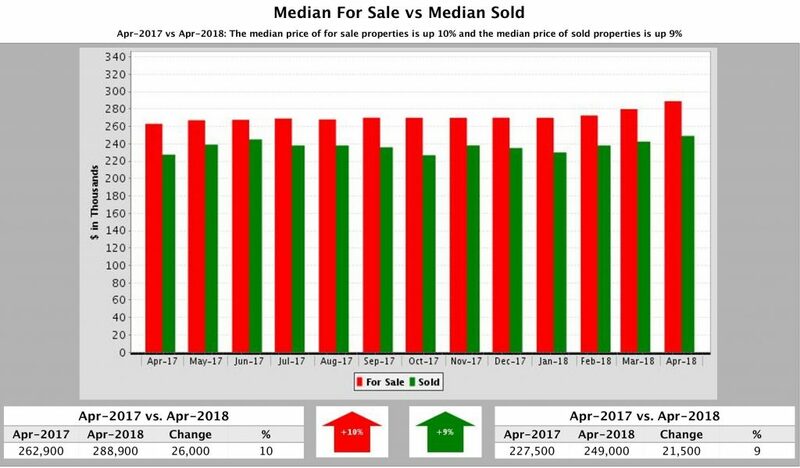 But sellers did list more homes for sale in April 2018 compared to April 2017. So hopefully this will help ease the lack of inventory. Buyers remain motivated despite a smaller selection of homes to choose from. This is good news for you if you want to sell your home in the next few months. The limited supply and high demand should keep prices at top dollar. Now let’s look at some of the most helpful and interesting blog posts, articles, and infographics we’ve run across this week. Enjoy! Huge piles of mulch remain to be spread. The bocce ball court isn’t ready yet. And dozens of other little details remain for construction workers to complete in the final days before Julian B. Lane Riverfront Park opens to the public. Spokeswoman Ashley Bauman corrected him, and Buckhorn said that’s why he has “hipsters” working for him. “I wanted the Commodores,” Buckhorn quipped, referring the funk-soul Motown act. The share of homebuyers in the U.S. who are single women has been steadily increasing over the last several decades and is now at an all-time high. There are obvious factors contributing to the increase in single-women homeowners, including an increase women in the full-time workforce and incomes but women are also just staying single longer. “Men and women, especially those that are under 35, are waiting longer to do adultlike things such as getting married and having children, but that hasn’t stopped them from buying homes,” McLaughlin said. Despite that, the share of homebuyers in general who are less than 35-years-old is at an all-time low, falling from 52 percent in 1981 to 33.7 percent in 2017. But the share of homebuyers made up of single-person households, men and women, has increased from 15.3 percent in 1981 to 21.2 percent in 2017. The aging of America has also skewed homeownership demographics. The share of U.S. homebuyers comprised of households more than 55-years-old has increased from 16.1 percent in 1981 to 27.8 percent today. April showers bring May flowers, and May flowers bring…. home sales? According to a new ATTOM Data Solutions analysis of 14.7 million home sales from 2011 to 2017, the best month to sell a home is May. This month reaps the biggest premiums above estimated market value, at 5.9% on average, compared to any other month. The single best day of the year to sell a home, according to the analysis, is June 28, which sees an average seller premium of 9.1%. 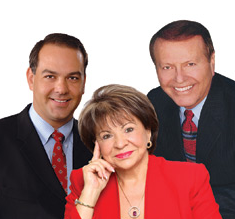 The other top days to sell a home are February 15, May 31, May 29 and June 21, with premiums ranging from 9% to 8.1%. 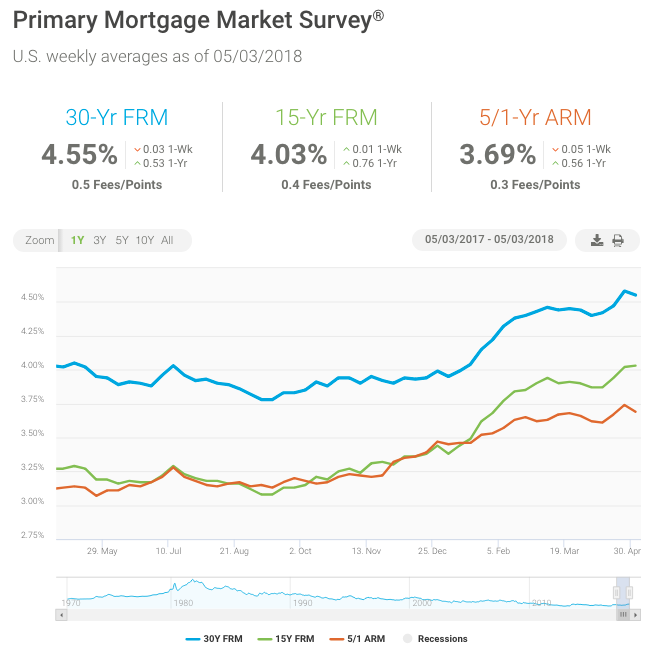 After steadily rising in most of April, average mortgage rates dipped slightly over the past week. The 30-year fixed mortgage rate declined three basis points to 4.55 percent in this week’s survey. 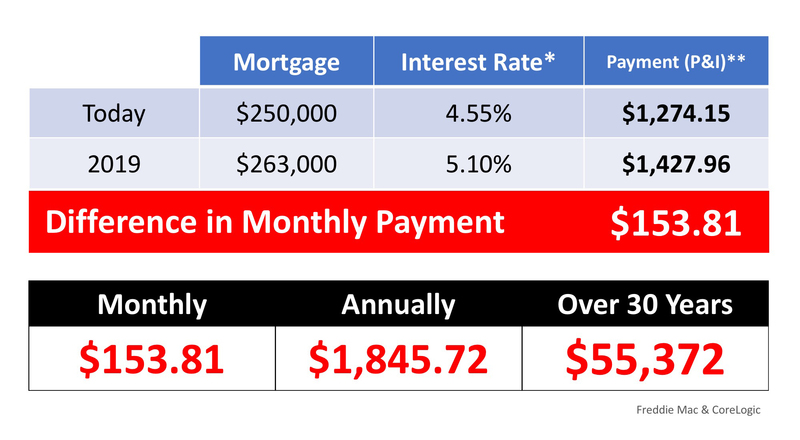 While mortgage rates have increased by one-half of a percentage point so far this year, it has not impacted home purchase demand, which continues to grow this spring. The observed buyer resiliency in the face of higher rates reflects the healthy economy and strong consumer confidence, which are important drivers of home sales activity. It’s also good news that first-time buyers appear to be having more success so far this year – despite higher borrowing costs and home prices. Our data through April show that first-timers represent 46 percent of purchase loans, up from 43 percent over the same period a year ago.